With the booming infrastructure industry in NSW, commercial construction contracts are really in an in-demand position. These documents result to the construction of high-rise towers, fancy shopping malls, and even your favourite go-to restaurant. So if you’re a businessowner, you must understand that commercial construction contracts must be taken seriously. What is a Commercial Construction Contract? What are the contents of a Commercial Construction Contract? Who can assist you with Commercial Construction Contracts? What can a Building Lawyer do to improve your Commercial Construction Contracts? A commercial construction contract is an agreement between contractors and businessowners. Commercial construction contracts are made for the construction of non-residential buildings such as hotels, restaurants, entertainment centers, educational institutions, and many more. In other words, building contracts for commercial purposes cover a lot of structures that can house a large number of citizens. This includes the project name and address, and the date agreed upon to sign the contract. This includes the business name and address, contact information, and other business details needed for the contract. This includes customer name and address, contact information, and other customer details needed for the contract. This includes the due date for payment, an agreed date for progress payments, and other conditions which may require payment or can be charged. It is stated under this section the plans and specifications for the building project. This also includes a brief description of the project as well as exclusions and other clarifications. These are just simply special terms and conditions that the owner might want to include in the contract. The owner must indicate which aspect of the builder’s work or the building project is insured. Will the worker be compensated? Is there a Public and Products Liability? It is important that these specifications are clear in the contract. Contract price must include the GST. Whether it is a lump sum contract or a cost plus one, the contract price is definitely one of the most important elements of a commercial construction contract. Of course, if there are still work that must be done for the project, some sort of allowance must be made. Hence, the Provisional Sum Items part of the contract. Specified work under this section may or may not be carried out. A construction lawyer is your best choice to seek assistance with commercial construction contracts. You must keep in mind that contracts like this are legally bound agreements. It is important that your contract is crafted in accordance to construction laws around NSW. Moreover, these commercial construction contracts must indicate your rights. Whether you are the owner or the contractor, your rights are of utmost importance throughout the building process. Commercial construction contracts are also useful materials in legal disputes. That is why these documents are best created under the supervision of a building solicitor. When things suddenly do not go the way you wanted to and you seem to see a rising building dispute, your construction contract is something you can always go back to. A building lawyer offers a variety of legal services that can truly help the client in all aspects of his/her building project. As for commercial construction contracts, a construction lawyer can offer three. If you have no idea what to include in the contract, your building lawyer can definitely lend you a hand. A construction lawyer can walk you through the elements of a building contract by providing you some sort of template to serve as a guide. In addition, drafting your contract under solicitor instruction can make your contract sound more professional and credible. After drafting your contract, having it reviewed is the next step. Of course, the best person to review your commercial construction contract is still your building lawyer. With this service, a construction lawyer can point out certain details in your contract that can be added, removed or revised. Anyone who is new to the construction industry needs expert advice. A construction lawyer can remind you of your rights that must also be clearly written in the contract. Furthermore, legal advice will be mostly needed in case contract disputes arise. Building lawyers can advise you on the proper steps to take and discuss with you profoundly everything you need to know about commercial construction contracts. Contracts Specialist is a Sydney-based law firm specialising in building and construction. We do not only offer Construction Contract services. We also deal with matters related to Building Disputes, Debt Recovery, and Strata Law. 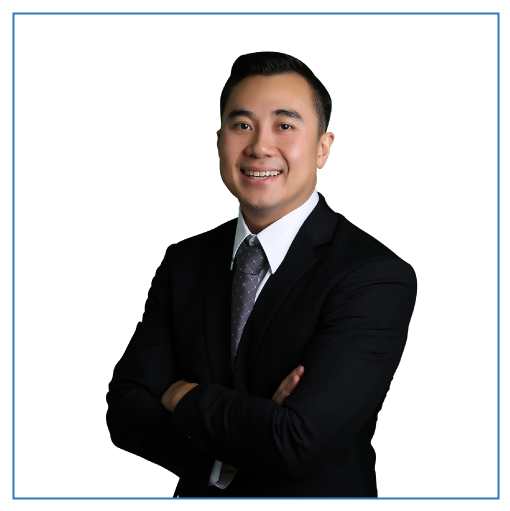 We are headed by our principal lawyer, John Dela Cruz, from Western Sydney who has been practising construction law for over 10 years now. His vast knowledge and experience can ensure you quality service, transparency, and efficiency throughout your legal situation. So if you have questions and concerns regarding commercial construction contracts, call Contracts Specialist now!